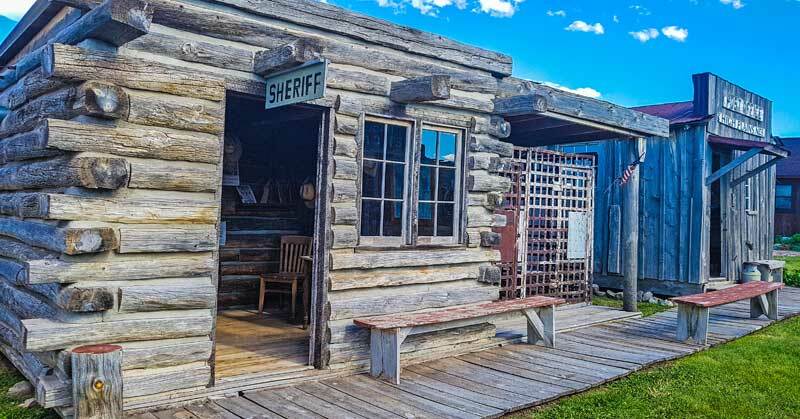 Sheriff’s office and jail at the High Plains Homestead in Nebraska. There’s something about visiting the badlands that always makes me think of the old west and outlaw days. 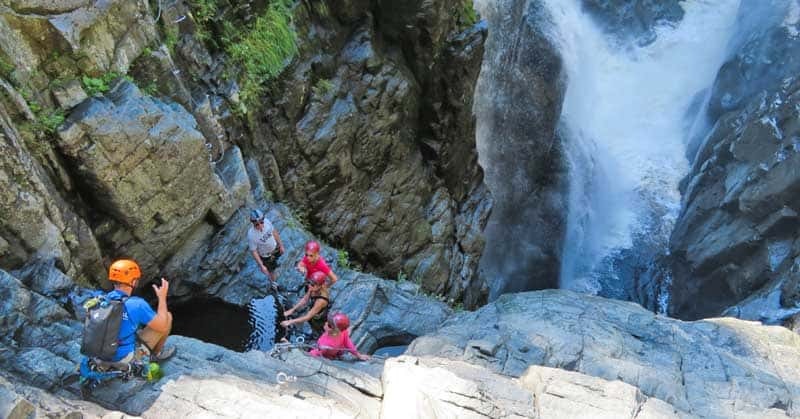 Maybe it’s the rugged terrain or maybe it’s how easy it is to lose something — or get lost — in all those crevices and coulees. Whatever the reason, it’s definitely the perfect setting for the High Plains Homestead near Crawford, NE. 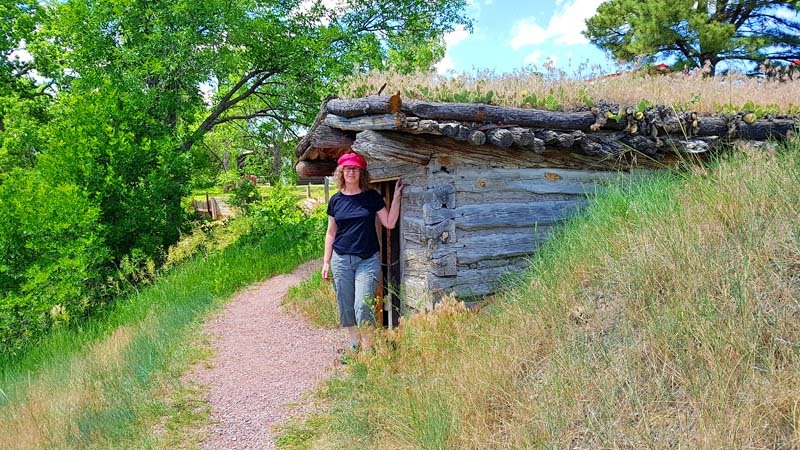 High Plains Homestead is many things, from a place to hang your hat and crawl into a bunk for the night, to an Old West settlement with a number of historic structures. One of my favorites was an original jail cell. 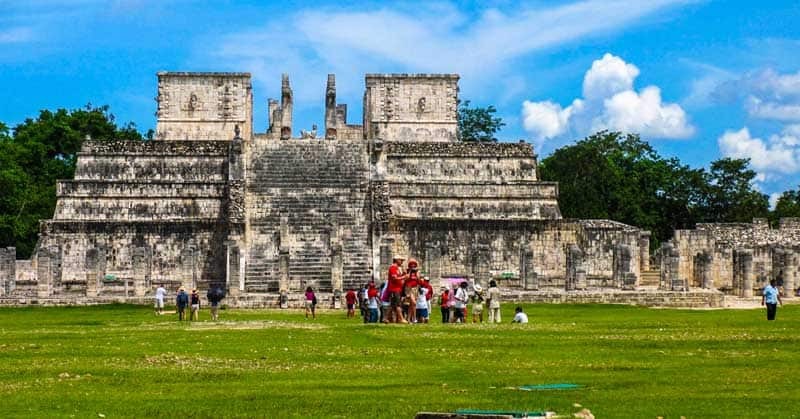 Indeed, many of the buildings have been saved from other locations and rehabilitated. It isn’t Disney–it’s authentic. Barn and corrals at the High Plains Homestead in Nebraska. 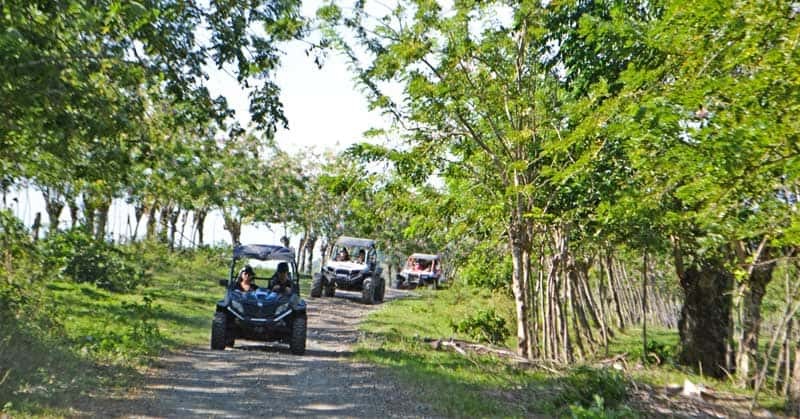 When you visit, you’ll notice that the buildings are mostly weathered log cabins. Back in pioneer days, settlers had to build a 12 x 12 cabin in order to fulfill homesteading obligations. Local lore has it that some homesteaders tried building cabins in inches, rather than feet measurements. The government, of course, didn’t appreciate the humor! While the mail-order brides who arrived might have found the space a little cramped, log cabins no doubt beat the sod houses. Indeed, many were carved out of the protein rich grass where first great herds of bison roamed, then later, cattle. 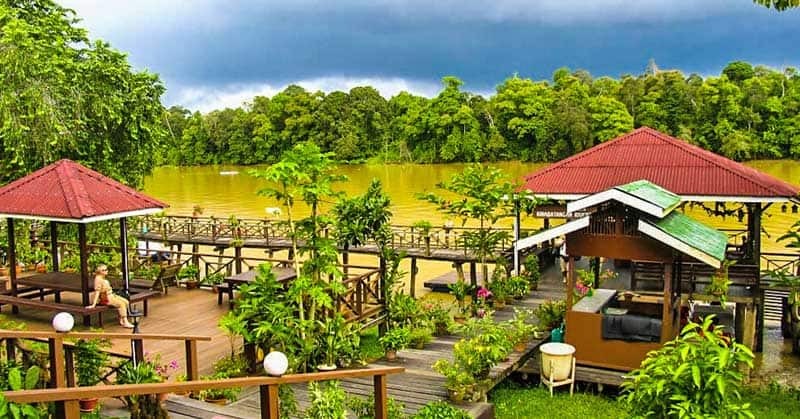 Now, you can take a peek inside the various buildings and spend the night. My favorite cabin was the “Honeymoon Homesteader” (you can even have your wedding at the Homestead!). 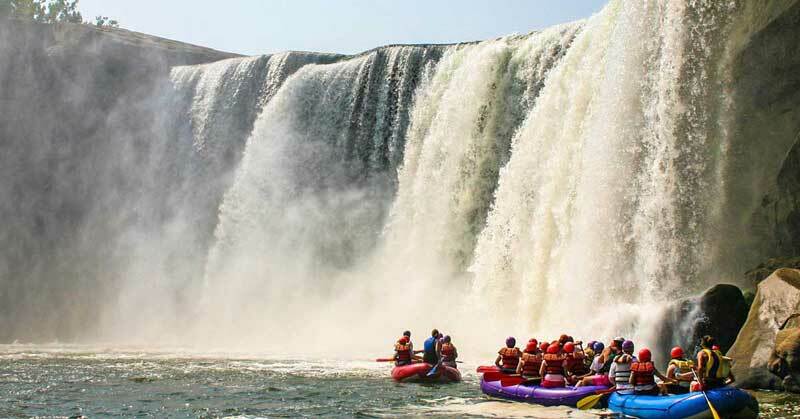 Prefer to bring your own accommodations? 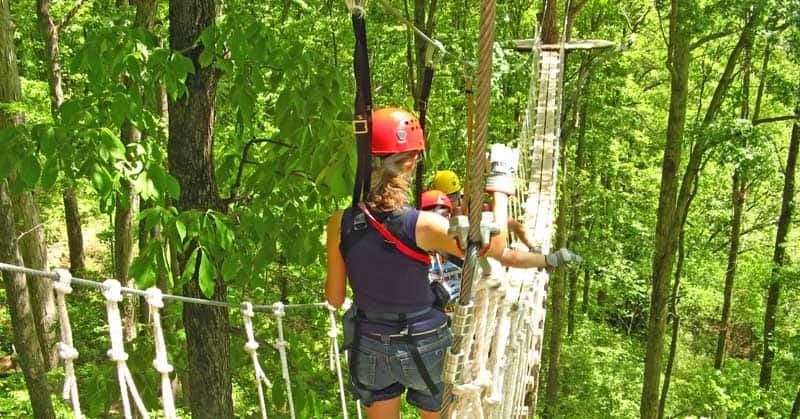 That works too, as you can camp or use the RV facilities. Front Street and Cowboy Museum in Ogallala, Nebraska. 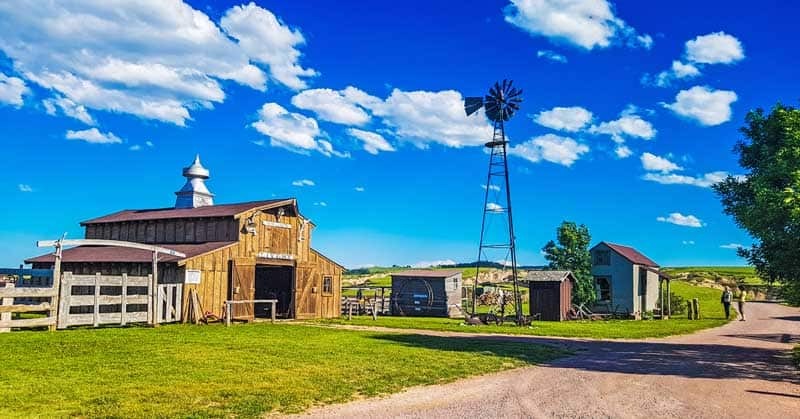 While the High Plains Homestead takes you to the edge of the badlands to experience a night in the Old West, Ogallala’s Front Street and Cowboy Museum gives you a more urban experience just off the I-80 interchange. In the last decades of the 1800s, Ogallala was the end of the trail for thousands of cowboys — and hundreds of thousands of cattle. So, nearly 60 years ago a group got together to ensure that history was preserved and built Front Street. 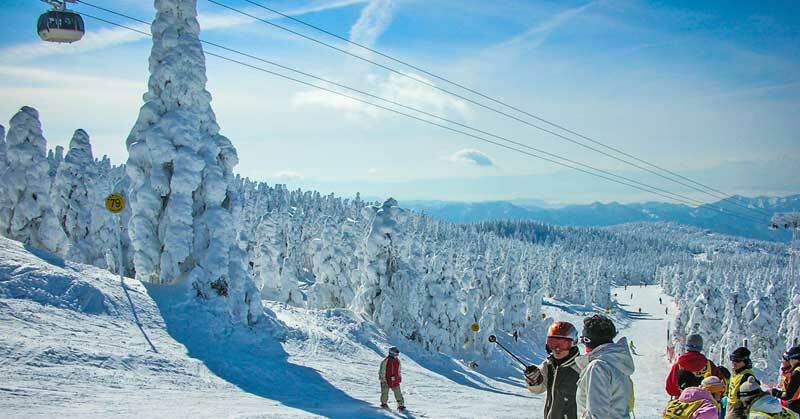 While the business was sold in 2016, the new owners have continued its traditions. Front Street provides a great place to enjoy a cowboy meal. Treat yourself to a Nebraska steak and glass of Sarsaparilla (a particularly popular drink in the late 1800s), or the cowboy favorite, a slice of pie. It also has a free cowboy museum full of memorabilia of cowboy life that’s fun to wander through. If you plan your visit well, you can also take in the Front Street Crystal Palace Revue. The old west shoot out and musical out has been running summers more than half a century! And if you’re looking for a great place to stay, the very comfortable Stagecoach Inn is nearby. You’ll find a number of cemeteries named Boot Hill across the American West. 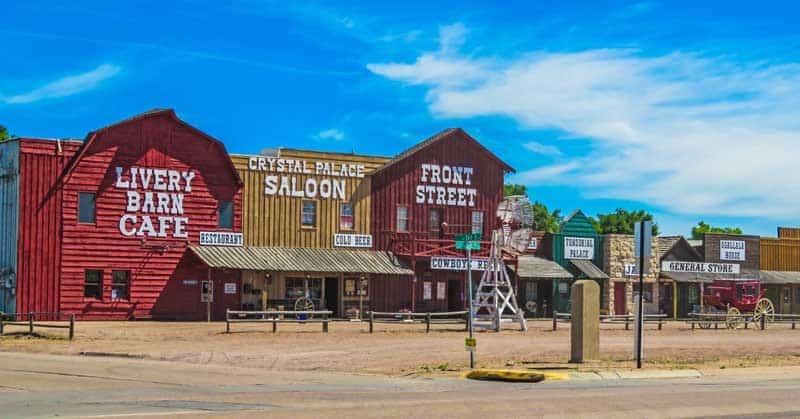 History.net claims the first was in Tombstone, Arizona, which was laid out in plots in 1878. Dodge City, however, had an earlier version where those with no means of support–or friends–were buried between 1872 and 1878. And why was Boot Hill such a common name for a cemetery? Well, its usual residents died with their boots on, often as a result of a run-in with lawmen. The Boot Hill Cemetery in Ogallala has no definite record of its first inhabitants. Rather, it served as the final stop for those who lost their lives in the town reputed to be the most violent on the Texas (Western) Cattle Trail between 1870 and 1885. Trail Boss Statue in Boot Hill along with grave markers, Ogallala, Nebraska. At least a million cattle tramped up the trail from Texas, along with hundreds of trail drovers, to the trail’s end at Ogalalla. Why? To be fattened up by local ranchers. Come fall, they were shipped east on the newly arrived Union Pacific railroad cars to meet the growing demand for beef. For a decade or so, from 1874, the cattle industry and cowboys ruled the economy of Ogallala. Trail bosses, like the one forever immortalized on Ogallala’s Boot Hill, tried to keep a tight rein on their stock — and their drovers. 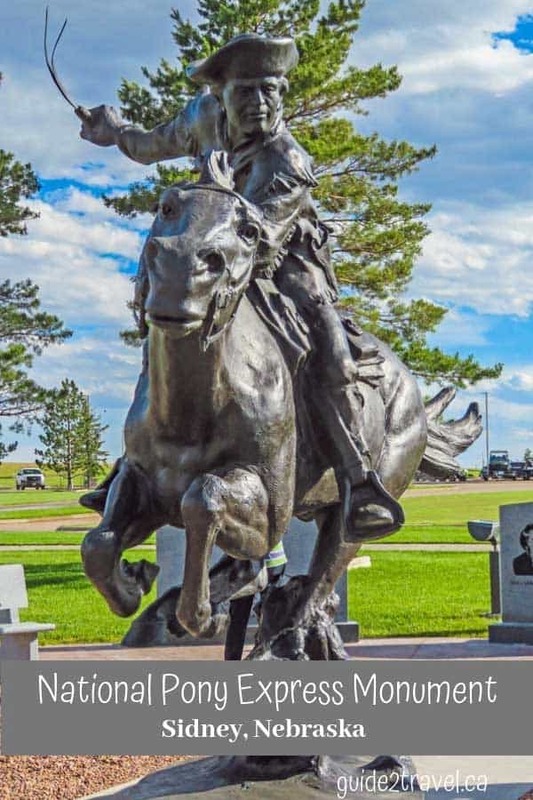 Te sculpture above, of The Trail Boss (a replica of one in Dallas, Texas) replaced an earlier statue of a cowboy that was moved to the Ogallala Livestock Auction Market in 2007. About forty-eight bodies are buried on Boot Hill in Ogallala. Locals say there may even be more. 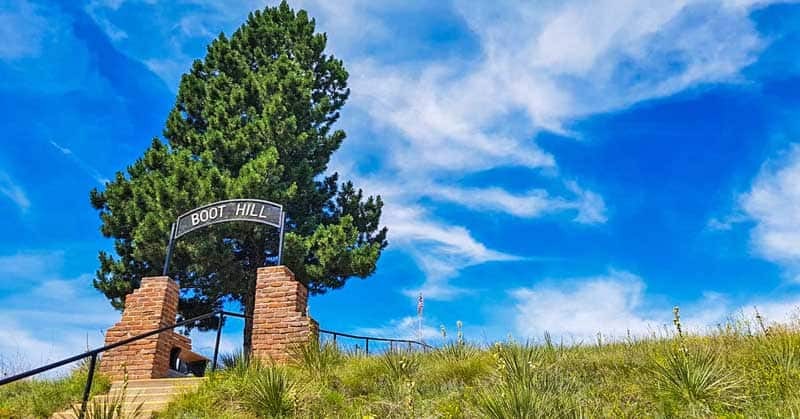 Some were children, some women, but most who ended up on Boot Hill truly did die with their boots on — and a weapon in their hands. National Pony Express Monument in Sidney, Nebraska. When it comes to men riding horses in the Old West, none are more legendary than the riders of the Pony Express. Indeed, it took just 10 days for pony express riders to carry mail for 1800 miles from St. Joseph, Missouri, to Sacramento, California. Mail in those days, of course, typically took a much longer time to get from east to west by stagecoach. Started by a freight company in Nebraska City, the Pony Express was originally a publicity stunt aimed at landing a government contract to transport the mail. And if you think postage is high now, those first letters cost $5 per ½ ounce! Postage was later reduced to $1 per ½ ounce. In total, 183 men rode for the Pony Express. The youngest was a mere 11, and the oldest in his mid-40s, and each earned $100 a month. While the time span was short, from April 3, 1860, to October 24, 1861, the Pony Express left a large imprint on American history. 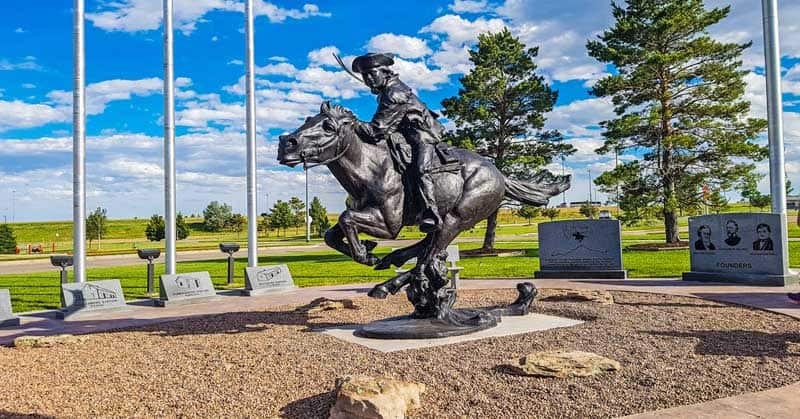 Nebraska’s National Pony Express monument, unveiled on the 150th anniversary re-ride in 2010 by the National Pony Express Association, celebrates that history. 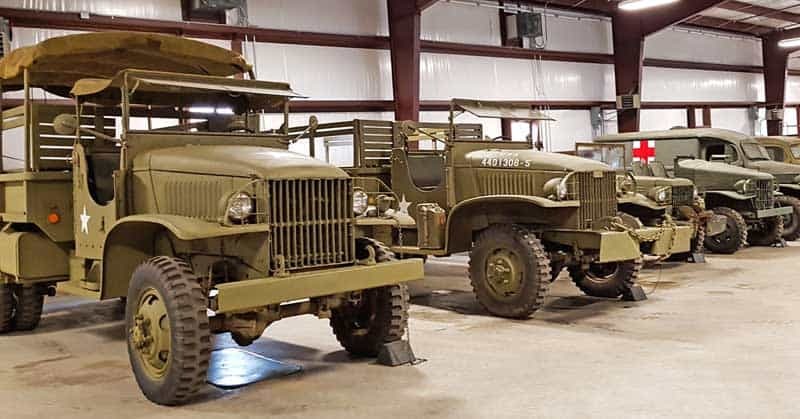 It’s easy to find in another historic spot in Sidney, Nebraska — in the corner of the parking lot for the first Cabela’s outfitter store. 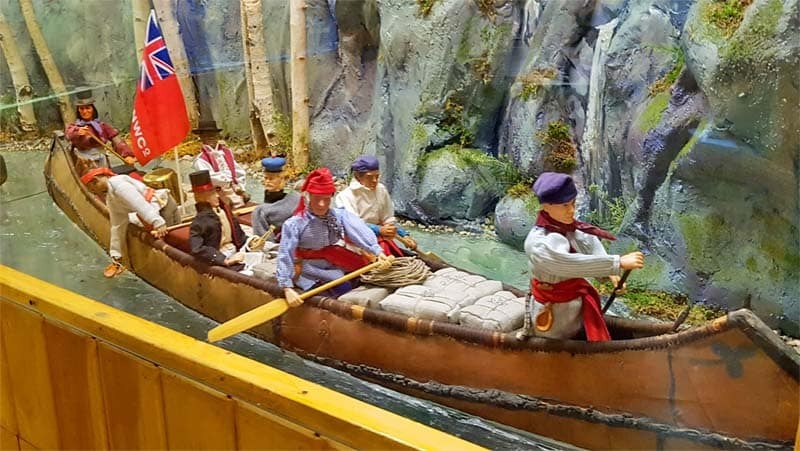 Diorama of voyageurs paddling across America on display at the Museum of the Fur Trade in Chadron, NE. 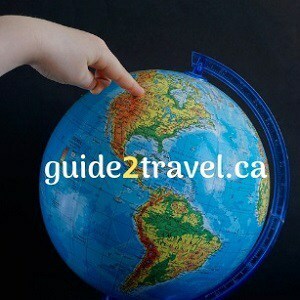 The fur trade was North America’s first commercial industry. From the 16th century on, fur traders paddled the rivers, set up trading posts, and made alliances that changed changed history. 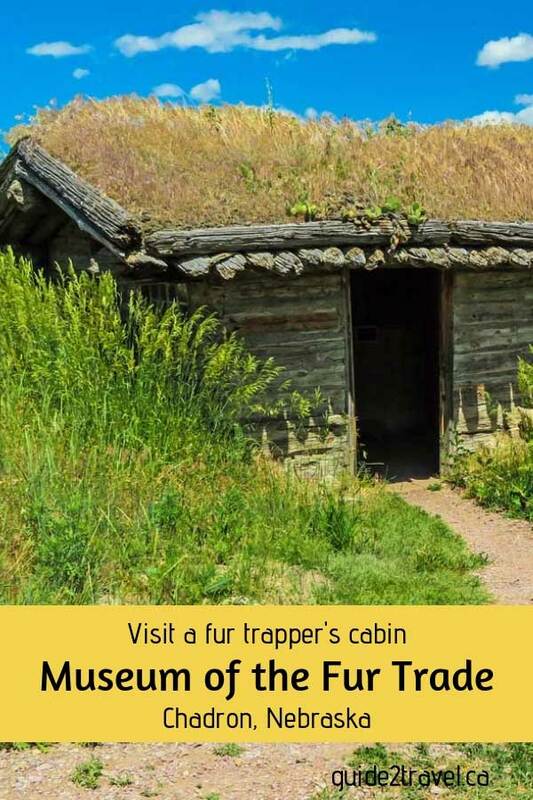 Visitors can step back through time into that history at The Museum of the Fur Trade in Chadron, Nebraska. The Lindeken Exhibit Hall celebrates the three centuries when the canoe men or the voyageurs followed North America’s rivers and streams into the interior. It was a time before maps — between 1804 and 1806 William Clark is credited with preparing 140 maps on the Lewis & Clarke journey across America. But they weren’t the first mapmakers. In fact, they also collected about 30 maps from early fur traders and trappers. Later, into the end of the 1800s, red river carts were used for overland transportation of the furs. 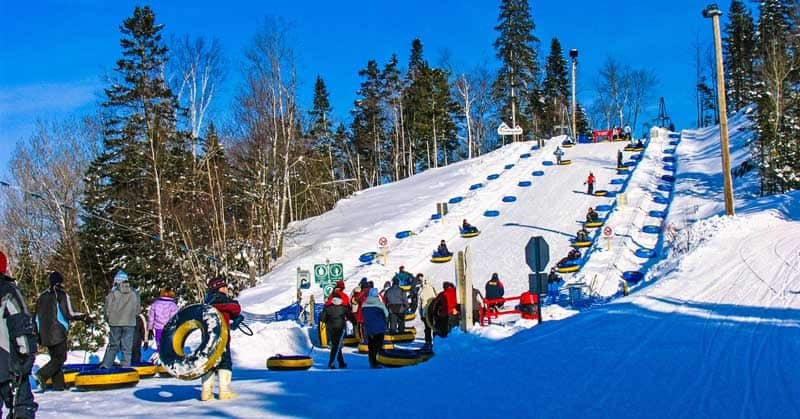 These were often built by the Metis (descendants of the voyageurs and their local wives), with iron bands for the wheels added by wheelwrights hired by the fur companies. One of these carts could carry up to 800 or 900 pounds of trade goods, or furs, on the return trip. The museum has a beautiful replica of this transportation innovation on display. Display of rifles from the War of 1812 in the Fur Trade Museum in Chadron, NE. 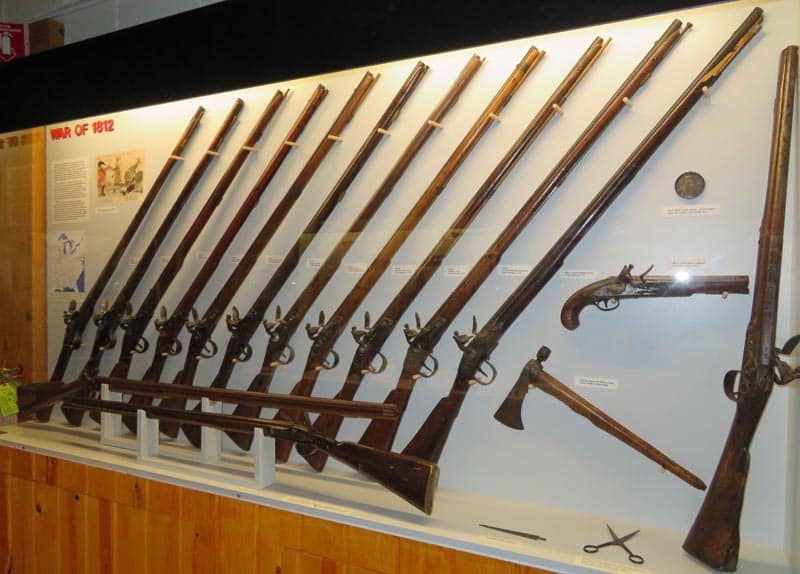 The Museum of the Fur Trade has the largest, and most complete, collection of guns made specifically for trade with the early Indian inhabitants of the continent. Many are simply named as Northwest guns, along with the years they were built. Others include Hawken rifles, buffalo guns, even Remingtons. The years on the info cards for each gun or rifle were enough to grab my attention. In fact, the collection includes the earliest known intact trade gun, which was made in the Netherlands before 1650! Display of gunpowder at the Museum of the Fur Trade in Chadron, NE. And there were lots of goods being transported by various fur companies for trade with the local people! You can see many of these goods in the museum, including the world’s most comprehensive collection of textiles traded during this era (Bevin B. and Maxine Bump Exhibit Hall). However, it was the display above, of gunpowder and gunpowder horns, that amazed me. 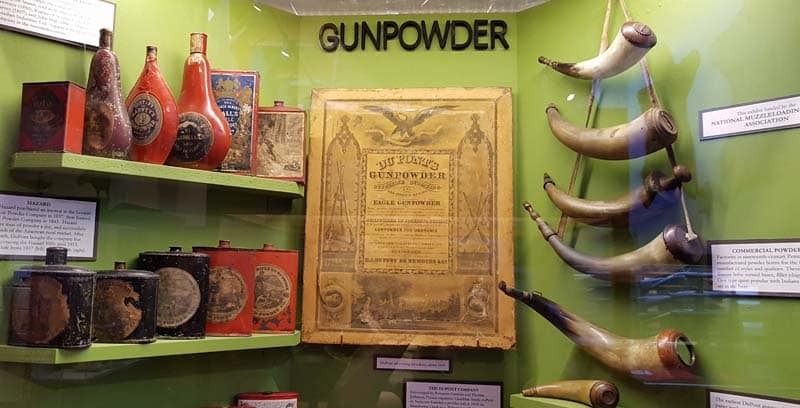 While I’d certainly read lots about gunpowder — and seen black powder rifles fired — I hadn’t expected the beautifully decorated tins and variously shaped horns traded to locals. Linda Aksomitis standing outside the Trading Post at the Museum of the Fur Trade in Chadron, NE. As well as four exhibit halls and a museum shop inside the white-plastered central building, there are a number of outside exhibits. The trading post above, a faithful reconstruction of the original 1837 structure, was my favorite. It sits next to Bordeaux Creek, which was named for James Bordeaux, the fur trader who ran it during its peak years. Other buildings include the Trade Room where the fur traders and trappers worked out their deals. What were things worth back then? There’s also a robe press used to bale the buffalo robes. Each winter, the Bordeaux Post took in about a thousand tanned buffalo robes. When folded (hair to the inside), the robes measured 2 feet by 3 feet in size. Eastern buyers bought the robes for bed covers, and lab robes for traveling and coats. The Indian Garden was also outside. Grown from seeds collected over a century-and-a-quarter ago by a Dakota horticulturist, Oscar Will, the crops include midget Mandan tobacco, Assiniboin flint corn, and blue-kernelled little corn. Various artifacts in the Museum of the Fur Trade in Chadron, Nebraska. I thought I knew a lot about the fur trade until I visited the Museum of the Fur Trade. Was I ever wrong! In fact, the foundation of the museum is in its library and research program. Their library has about 10,000 volumes on the fur trade and related topics. They also have hundreds of rolls of microfilm of fur company records. My knowledge of the fur trade revolved around Canada’s Hudson’s Bay Company and The Northwest Company. 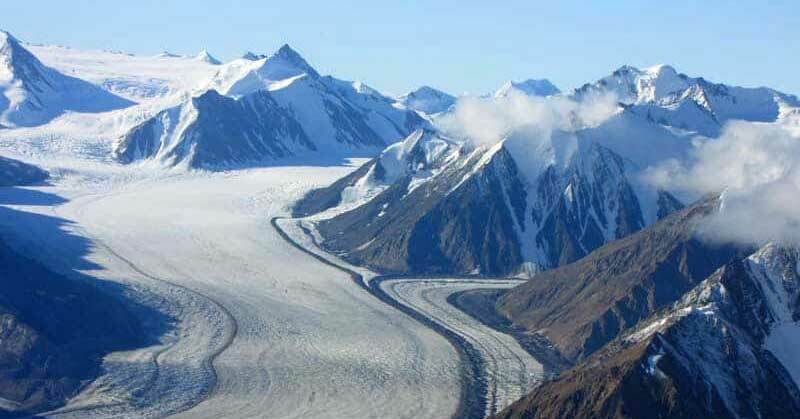 What I’d missed covered the globe, as the fur trade was carried on from Greenland to Alaska and Hudson’s Bay to the Gulf of Mexico. That’s a lot of territory. And all of it is part of the Museum’s research. Indeed, the Museum has been building its library and collection of artifacts — there are 6000+ primary objects — since 1949. At that time, Charles Hanson, along with others interested in preserving fur trade history, created an association that hoped to manage an 1830s trading post in Colorado. When the plans didn’t work out, they found the site at Chadron and opened the museum there in 1955. 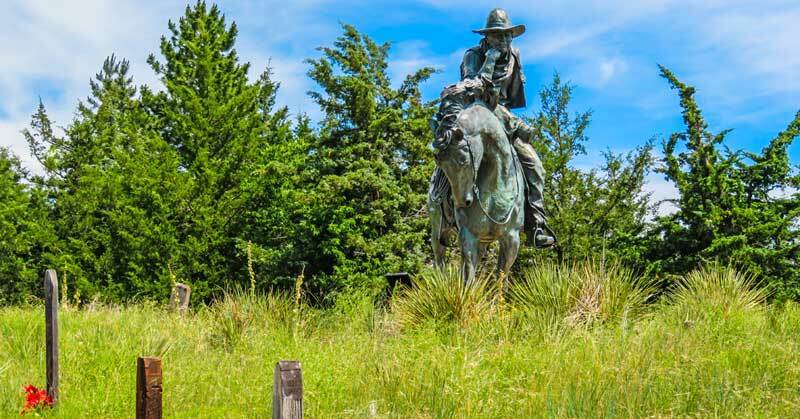 If you’d like to plan your own trip to experience frontier and cowboy days in Nebraska, here are some resources to get you started. I visited these old west sites on a press trip hosted by the Nebraska Tourism Commission and local CVBs. While I was hosted, I retain full editorial control of the articles I write after taking this trip. Scotts Bluff National Monument is one of Nebraska’s historic places on the Oregon Trail–enjoy a day of hiking trails and exploring its living history. The new, ultra-modern, Legacy of the Plains Museum in Gering, Nebraska, curates the importance of Western Nebraska to the development of the West. The free Carhenge pop culture roadside attraction in Nebraska is a replica of England’s Stonehenge built from same sized vintage cars painted grey. Check out the Tangled Tumbleweed “small bites” in Scottsbluff, Nebraska. Visit The Tangled Tumbleweed in Scottsbluff, NE, to try some great “small bites” along with fine wines & craft beers, & check out their gift shop. Hiking to the top of Jail Rock gives you a 40-mile view of Courthouse Rock and the Nebraska Plains area on the historic Oregon Trail of the 1840s. Hiking the Oregon Trail to the top of Windlass Hill provides a panorama of the Nebraska Platte Valley along with wagon ruts made by settlers 175+ years ago. 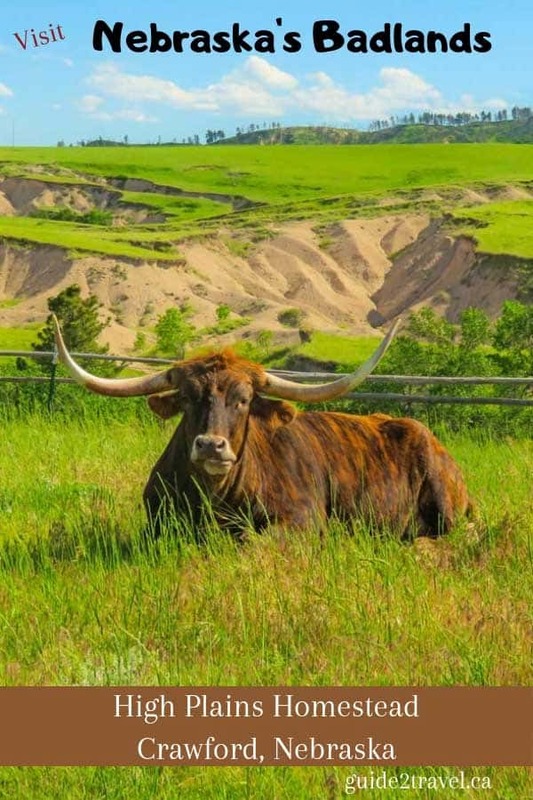 The photo in the header above was taken by Linda Aksomitis at the High Plains Homestead, near Chadron, Nebraska, USA. If you enjoyed this article, please pin and share it.